Home » Where to go? » North America » Taking the Family to Las Vegas in a Van Anyone? Taking the Family to Las Vegas in a Van Anyone? 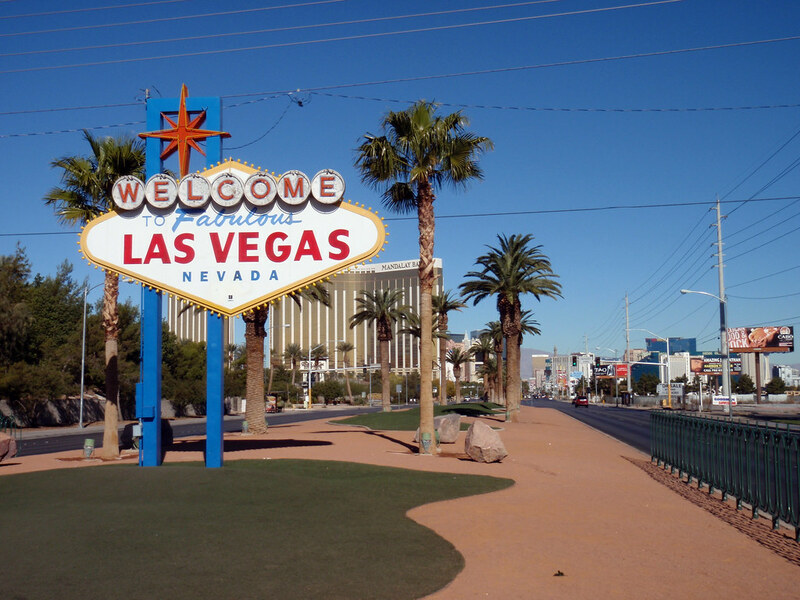 One of the difficult aspects of family campervanning in Las Vegas is most likely finding a place to stay once in town. For families not wanting to stay in a Hotel, there is actually an option on the strip: Circus Circus. This casino has not only the largest permanent circus tent in the world as well as daily circus acts, but also the only KOA campsite and RV park on the entire strip. The Bellagio – this casino is best known throughout the world for its amazing fountains. These play every half an hour, and are set to music and lights! It also has nightly shows including high divers and Cirque du Soleil! Planet Hollywood – Perfect for the family of shoppers, Planet Hollywood features a 1.2 mile shopping complex and nightly shows with big-name celebrities. Mirage – Not only is there a volcano that erupts every evening, but resident acts Beatles LOVE and Boyz II Men. Excalibur, Luxor and Mandalay Bay – These three casino/resorts are all connected by tram, and have many features that cater to those both young and old. Here families will find everything from jousting knights and Carrot Top to a real shark aquarium. Serendipity 3 at Caesar’s Palace – For the family looking to indulge in a few sweets, this is definitely the place. This restaurant has a vast array of desserts as well as a full restaurant menu. The Sugar Factory at Paris Las Vegas – Slightly different from Serendipity 3, the Sugar Factory features personalised sweets for kids and sweet cocktails for adults. The Burger Bar at Mandalay Bay – Boasting beef, buffalo and turkey burgers, this restaurant is run by Hubert Keller, former judge on Top Chef. Pink’s Hot Dogs Las Vegas – From its humble beginnings as an LA hot dog stand, Pink’s has grown into one of the most famous create-your-own hot dog joints in the world! The great part about a family travelling in Vegas is the variety of activities for adults and kids alike. Many casinos that are known around the world for their gambling also have thrill rides for people of all ages. New York New York – This Manhattan themed casino offers both an arcade for people of all ages and the Big Apple roller coaster for the more adventurous. Circus Circus – Perhaps the most family-friendly of all the Las Vegas casinos, this historic institution boasts the famous Adventuredome. Housed in the largest permanent big-top circus tent in the world features a host of carnivalesque rides including the Canyon Blaster and El Loco roller coasters and the Frog Hopper and Miner Mike rides for younger children. Stratosphere – Definitely the most extreme of all the Las Vegas thrill rides, Stratosphere is not only the tallest building west of the Mississippi River, but has the Big Shot (the highest thrill ride in the world) and the Skyjump Las Vegas, a bungee jump with a 855 foot fall! When travelling with your family around Las Vegas, keep in mind that many resorts and casinos are geared towards adults (gambling is how they make their money! ), but also offer activities for those wishing to take their families. Remember, children are not allowed on the casino floor, but are allowed most other places. Be safe and have fun!